Think of your favorite Rodgers & Hammerstein musicals and PIPE DREAM will probably not be the first title to come to mind. In fact, you may not even know it. 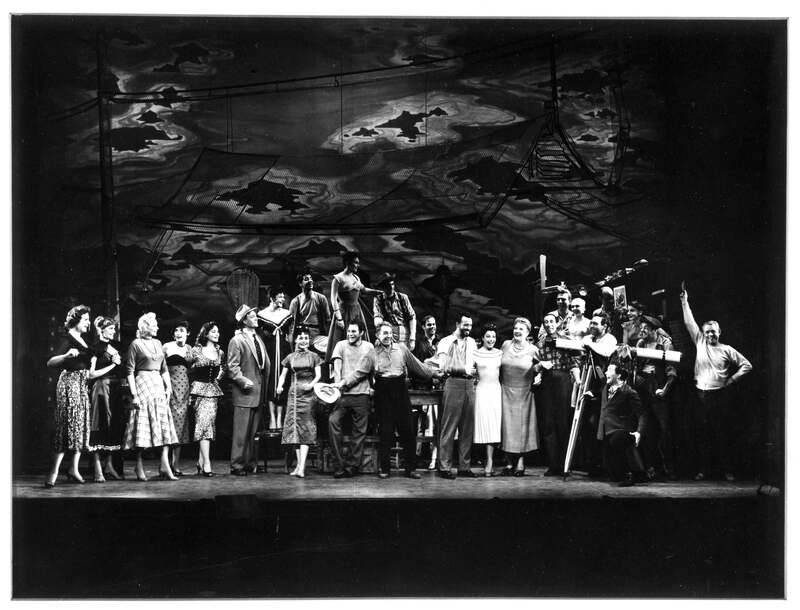 But in its time, it was one of the most eagerly anticipated new shows to reach Broadway, promising another banquet of R&H hit songs and setting box office records. It opened in November of 1955. Then it disappeared. What happened? Only Henry Fonda couldn’t sing. And try as they might, Broadway’s greatest producers since Florenz Ziegfeld, couldn’t come up with a suitable replacement for him. Nor could they find a star for their leading lady. Julie Andrews, who had just opened in THE BOYFRIEND (and instantly became Broadway’s brightest new promise), was considered, even though her name above the title was still not a box office guarantee. However, when Richard Rodgers asked Andrews what she was currently up to, and she mentioned that Alan Jay Lerner and Frederick Loewe were talking to her about their new musical adaptation of PYGMALION, Rodgers told her, “If they ask you to do that, DO it.” And so PIPE DREAM’s loss was MY FAIR LADY’s gain (as well as Julie Andrew’s entry to superstardom.) Ultimately, R& H settled on William Johnson (who had understudied Alfred Drake in KISMET) for the role of Doc, their leading man and Judy Tyler for the role of Suzy, their leading lady. Johnson was a fine actor and singer, but relatively unknown. Tyler was famous to the kids of America, who tuned in each afternoon to watch her on The Howdy Doody Show – she played Princess Summer-Fall-Winter-Spring – but, like Johnson, she was not a star. PIPE DREAM still needed a name above the title. And then – serendipity! Helen Traubel, a world renowned Wagnerian soprano (think Brunhilde, with the helmet and the horns and the spear), had just deserted the Metropolitan Opera for Las Vegas, where she was wowing the crowds with barrel house renditions of songs like “Won’t You Come Home, Bill Bailey” and otherwise trading in her diva image for that of a loveable old broad. Who better to play the role of Fauna in PIPE DREAM! Now Rodgers & Hammerstein had a star, a really big star, a star who could SING! But the part she was playing was not a leading role. It was a beefed up secondary role at best, and the effect her name above the title had on audiences was similar to what would have been the case if Bob Hope had been cast as Ali Hakim in the original production of OKLAHOMA! A name above a title makes a promise to an audience, and that promise has to be kept. Because the audience expects the evening to be about the star. They expect the star to deliver the goods, not to stand there and watch someone else deliver the goods. (You wouldn’t cast Madonna as Brigitta in THE SOUND OF MUSIC. You could, and you would probably sell every seat in the house if you did, but the audience would be waiting all evening for Madonna to take over the show, and, as Brigitta, that moment would never come.) Something unusual for R&H was happening. All the right decisions were being made, but the pieces were not adding up to the kind of a whole that was something greater than the sum of its parts. Then Rodgers, a dynamo of action and energy and a theatrical and musical genius, was diagnosed with cancer. He came to the first day of rehearsals, played the score for the cast, and checked into the hospital. For the first time in their collaboration, Hammerstein was alone in the driver’s seat. This had happened to him only once before, in 1946, when Jerome Kern died at the onset of rehearsals for a revival of SHOW BOAT. It left Hammerstein in a place he did not like to be – without his partner. PIPE DREAM’s director was Howard Clurman, one of the most respected and successful theatrical directors of the Twentieth Century. Only he had never directed a Broadway musical. The choreographer was Boris Runanin, equally respected and admired in the world of ballet and classical dance and equally a novice at creating musical comedy. Then they all got to Boston. And Traubel lost her voice. Or, at least, she began to worry that she was going to lose her voice. Opera singers sing a single performance or possibly two performances in a week. 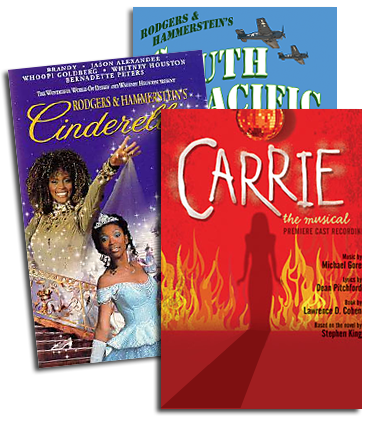 A Broadway performer sings eight – six nights a week as well as matinees on Wednesday and Saturday. Traubel was not only singing more than she had ever sung before, she was vocalizing in a register (low belt) that was new and foreign territory to her. So she asked for her keys to be raised. And, one by one, every song she sang in the show went from being a powerhouse sock-em-between-the-eyes number to a charming ditty. And Fauna, the old broad who ran the whorehouse in a two-bit town on the California coast, began to sound like a Valkerie. In Traubel, the essence of who Fauna was supposed to be began to succumb to the electric wattage of one of the most glamorous divas of the Twentieth Century. The audience was confused. And Traubel’s pearls and high heels (once a diva, always…) didn’t help. Then it seems Traubel, who had no doubt signed on for the show thinking she’d get what Ezio Pinza had gotten in SOUTH PACIFIC (a “Some Enchanted Evening” or at least a “This Nearly Was Mine”) began to lose faith in her material. She was unhappy enough in (or at least ineffective enough with) her first song in PIPE DREAM that Rodgers (now recovering from his cancer surgery) & Hammerstein replaced it. But the song they replaced it with sounds so unlike anything they had ever written one might begin to wonder if it was pulled from the trunk of Traubel’s Vegas act. (Footnote: The song they replaced is the one Traubel sings on the original Broadway cast recording. The new song – the one published in the piano vocal score of the show – is, well, take a look and see for yourself.) Then, in what could have been a final act of desperation, Traubel was given a second act reprise of the show’s single breakaway hit (“All At Once You Love Her”) even though there is no plausible reason for her to sing it except that she sounds terrific doing so. It is the one comfortable, transcendent moment she has on the recording and was possibly the one comfortable, transcendent moment she had in the show. But PIPE DREAM was selling out in Boston. And the Broadway opening night loomed. Rodgers & Hammerstein were used to breaking their own records, and PIPE DREAM was not an exception for them. By November of 1955 the box office was bulging with cash. You couldn’t get a ticket for months to come. The buzz was as great for their new show as it had been for anything they had ever done. PIPE DREAM was already a smash. And then it opened. Now we get to find out. Because City Center’s Encores! 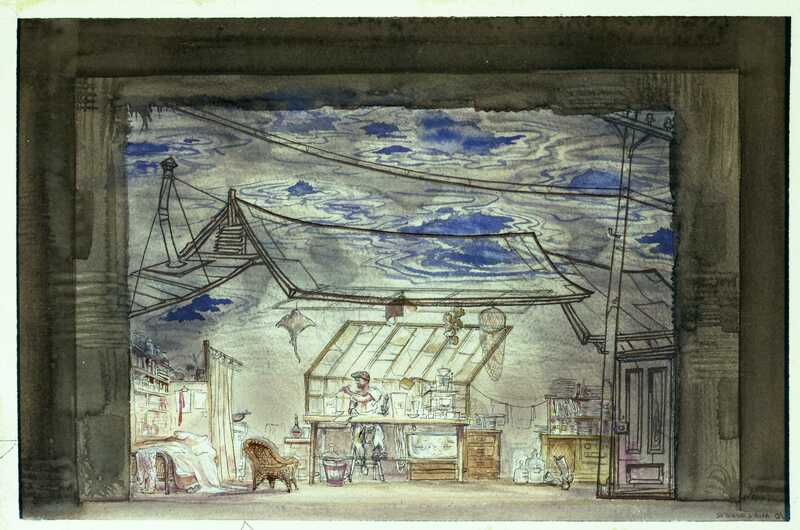 is providing us with the first real shot at what PIPE DREAM might have been since it first played on Broadway in 1955. And in Leslie Uggams we finally have the Fauna that R&H envisioned – an anchor for the story of lost children who are too grown up to know how much they need each other. Encores! is presenting the show as Rodgers & Hammerstein first wrote it, with the songs and the story intact and with Fauna as a belting, warmhearted earth mother (think Aunt Eller, Nettie Fowler and Bloody Mary all wrapped up into one beautiful old broad) who’s day (her “Sweet Thursday”) will be made if she can just get Suzy and Doc to admit they’re crazy about each other. The Rodgers score (with Robert Russell Bennett’s nearly symphonic orchestrations and John Morris’ jazzy dance arrangements) has been restored for this Encores! production, which will include much music that is not on the cast recording. And what is most exciting is that this production could be the launch that PIPE DREAM has for so long been waiting. Don’t miss it. 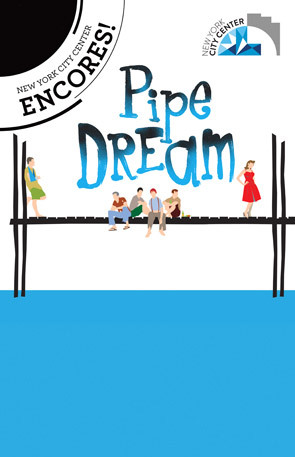 You may not know PIPE DREAM, but you’re going to. And you might just love it!